According to a tipster who spoke to AppleInsider, Apple may be planning to hire Paul Deneve, who recently left his post as CEO of French luxury label Yves Saint Laurent to "pursue a career in the technology industry." Deneve, who has worked for a number of luxury labels including Courreges, Nina Ricci, and Lanvin, was previously employed at Apple Europe from 1990 to 1997, where he held several sales and marketing positions. While no information was given on Deneve's possible role at Apple, his past experience suggests that he could be a potential replacement for former retail head John Browett, who was ousted from Apple in October of 2012. Apple may want to draw upon Deneve's expertise in the luxury goods sector to help launch new products, including the rumored iWatch. The mere mention of Apple trademarking “iWatch” has driven up the company's stock by 6 percent across the last two days. 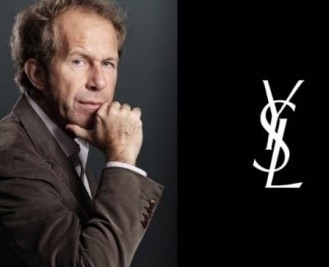 Both Apple and YSL have declined to comment on the possible hire and no further information is available at this time. Update: According to Bloomberg reporter Adam Satariano, Apple has confirmed that it has hired Paul Deneve, but not as the SVP of retail. Instead, Deneve will work on "special projects" and will report directly to Tim Cook. missing that thing around his wrist. An iWatch so the US government can spy even more on me? No, thanks. I really hope you don't think the US government is "spying" on everyone with an iOS device. Even if they knew every keystroke or website I visited I really wouldn't care. I'm not paranoid enough to think they have enough time to pour though everything millions of people are doing in order to.... in order to do what....? Arrest you for checking out Grumpy Cat on Facebook? If they analyse every email, phone call and text message for terrorist activity and it keeps me safe at sporting events, on airplanes, in hotels, at work and at home, then let them. The government isn't too concerned that I have fetishes or what my 401k looks like or that I like to watch Most Extreme Elimination Challenge. You really don't get it and it seems living in America is completely wasted on you. unless there's revolt in the street (which I'm not advocating btw), it's a losing battle. You mean "Saint Laurent Paris"
Do people care or not care about this? Some people seem to care and yet posting their lifes on Facebook, Twitter and LinkedIn. With these three sites you can determine where a person lives, when born, where he went to school, friends, mobile / cell number and even your full resume / CV. That not more people are victim or identity theft is surprising. I said it a few times already. If you are worried, stop using the internet and meet friends in a bunker and talk to them there. Otherwise its all fair game.